President Trump once again borrows Game of Thrones trademark font to make a political statement on social media. 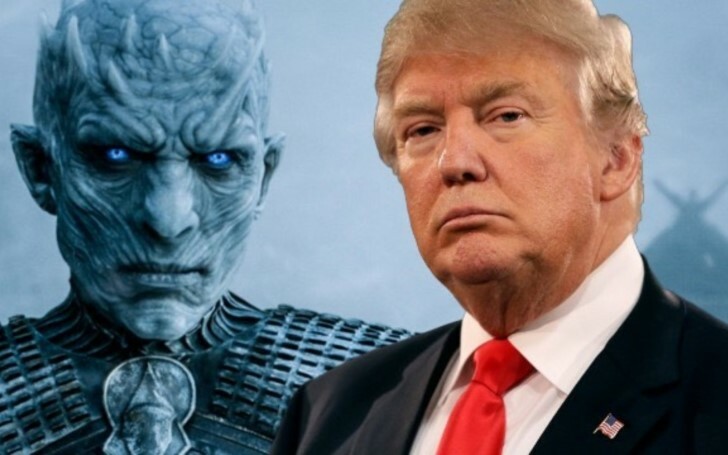 American President Donald Trump once again made a photoshopped appearance on social media with Game of Throne" inspired meme using the show's famous tagline "Winter Is Coming." The US President brought out yet another poster of himself on Instagram similar to his previous Game of Thrones inspired memes on Thursday. His recent meme included the president's frowning face with the words reading "The Wall is Coming" above a barrier of steel spikes bisecting a desert, possibly hinting his battle against Democrats over a border wall. The famous line "Winter is Coming" is the slogan used by HBO to promote the famous TV series 'Game of Thrones' based on the books by George R.R. Martin whose last season is to be aired on April. Back in November, Trump released a similar meme on Twitter with words reading “Sanctions are coming" addressing his administration's plans to reimpose sanctions on Iranian individuals and entities which was lifted off by the former president Barack Obama under the nuclear deal on 2015. 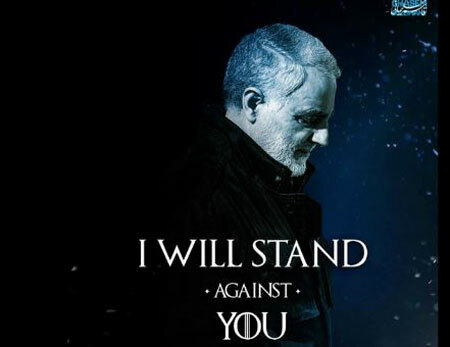 Teheran's General Qassem Soleimani eventually responded to President Trump in the same style with words “I will stand against you” on Instagram appearing as a white walker. HBO however, wasn’t impressed when the “sanctions are coming” poster was released. In response to Trump’s ‘Game of Thrones’ reference, HBO reacted by asking on Twitter how one would say “trademark misuse” in Dothraki, one of the languages in the show. It is unclear whether Trump is a fan of the show or not. However, he once used the Stark words to threaten North Korea with “fire and fury” shortly after HBO aired an episode in which one of the characters does the same thing, riding on a dragon. Game of Thrones features a tall wall made of ice that protects the Seven Kingdoms from the wildlings and undead living beyond it in the north. Trump initially proposed on building a “big, beautiful wall” on the border with Mexico in 2016. Congressional Republicans were reluctant to support him on it, until last month when the House of Representatives passed a government funding bill that included $5.6 billion for the project. Democrats, however, have flat-out refused to approve a single penny in wall funding. The government has been partially shut down for nearly two weeks as a result of the impasse. Prior to the Instagram post, Trump surprisingly made his first-ever appearance in the White House briefing room accompanied by several Border Patrol officials, to say he will not back down from demanding a wall on the border with Mexico. President Trump intends to keep out the Central American migrants fleeing poverty and rampant violence in their home countries. It remains to be seen whether his proposed big, beautiful wall on the border of Mexico comes to fruition.